If space is at a premium but you still demand world-class tone and design, the Baldwin BP152 fits the bill. At exactly 5'0", the BP152 is one of the smallest grand pianos in its class, but its compact dimensions never equate to a downsized sound. Baldwin’s new Professional Series has a piano for every requirement—and budget—and the BP152 is no exception. If space is at a premium but you still demand world-class tone and design, the Baldwin BP152 fits the bill perfectly. At exactly 5'0", the BP152 is one of the smallest grand pianos in its class, but its compact dimensions never equate to a downsized sound. 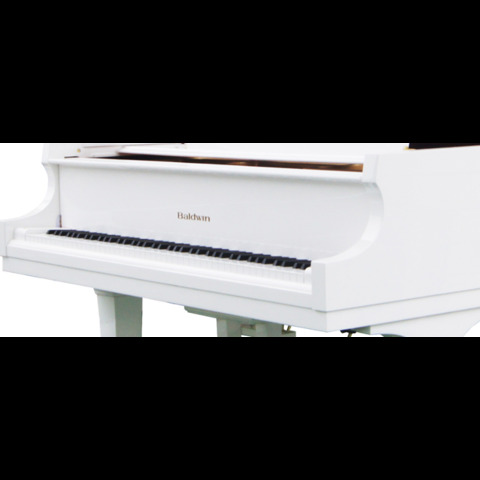 This grand easily delivers the sweet, singing tone you'd expect from a much larger instrument and retains the full presence and prestige of having a legendary Baldwin grand piano in your living space. A grand piano naturally becomes the focal point of any room, and if your space is limited, you'll want to fill it with the finest piano built. The Baldwin BP152 is the best in its class. Baldwin’s BP152 bridge is constructed of hand-notched hard maple. This design contributes to the sustaining tonal quality of the Baldwin piano. Ribs, crafted of premium solid Alaskan Sitka spruce, are hand selected and matched to each soundboard for maximum stability. The BP152 pinblock consists of 17 plies of hard maple, one of the most durable hardwoods. By alternating the grain direction of each ply, tuning pins are snugly held. The plies are joined with a waterproof adhesive, so the integrity of the Baldwin pinblock is not adversely affected by humidity.